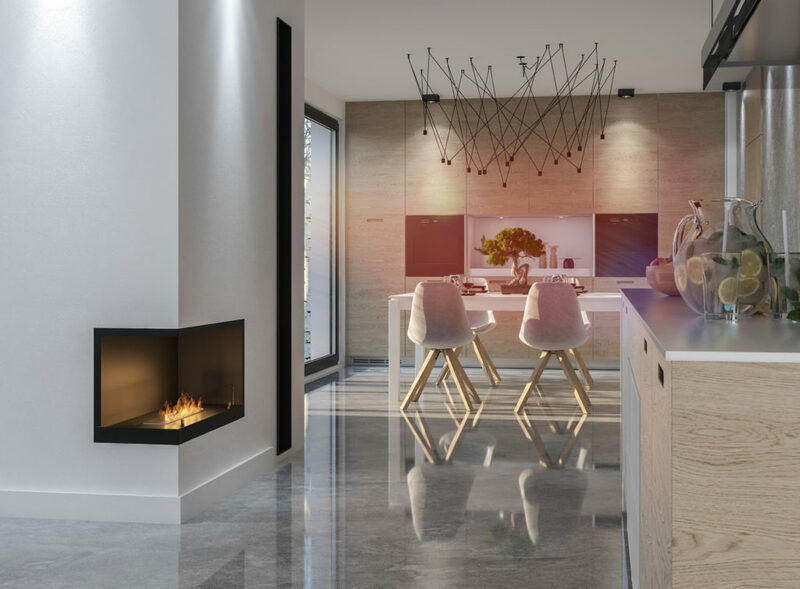 Inside L & P 800 Vers2 fireplaces are models for simple assembly in a recess. 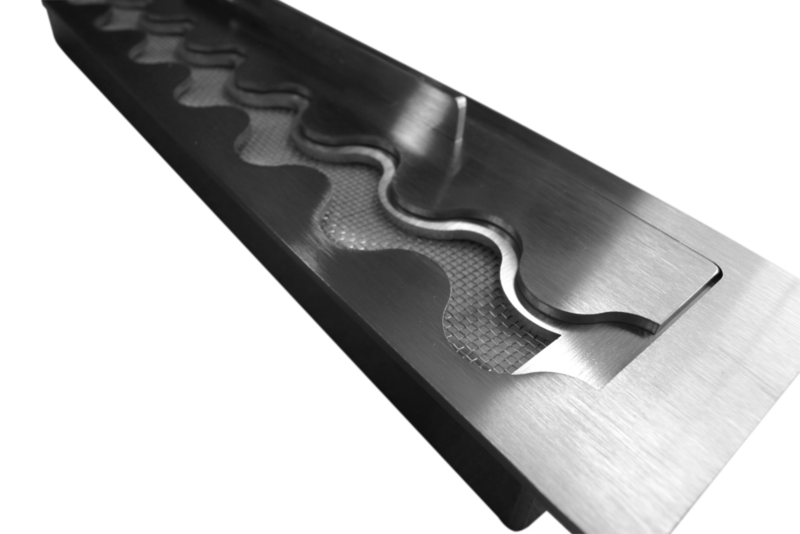 The fireplace frame is a developed version which contains a bleeding system that prevents pressure formation under the burner in the event of fuel overflow. 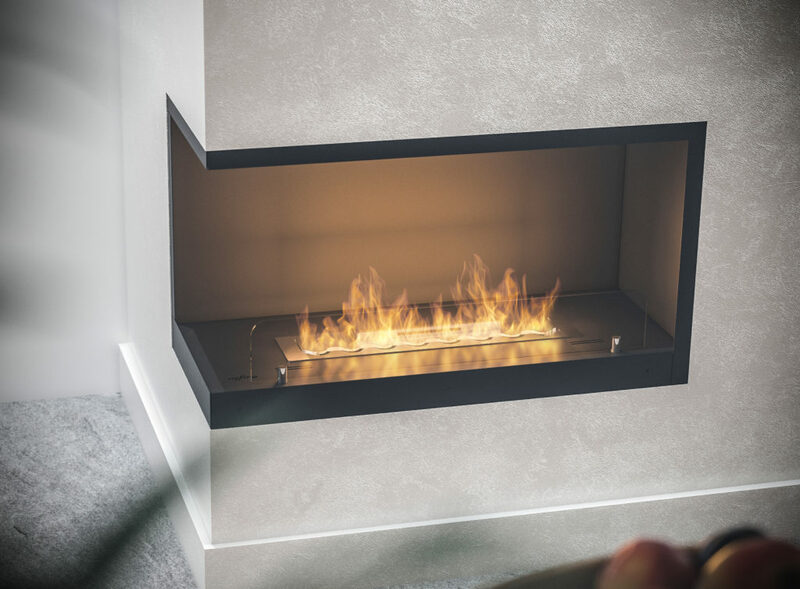 The fireplace is also equipped with a built-in insulation system in the top part which allows for assembling it in e.g. gypsum plasterboard. The structure does not require an opening in the base for the burner. All you need to do is put the fireplace into the prepared opening. 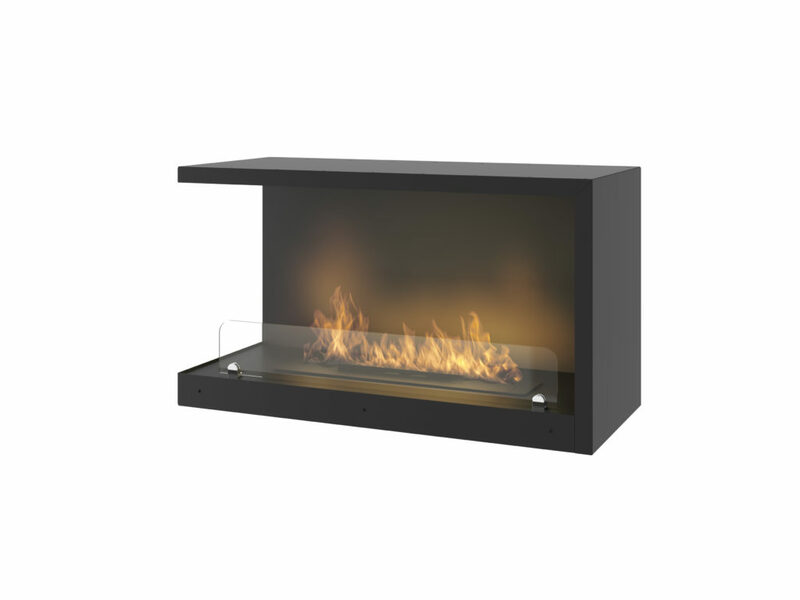 The L version is a fireplace with LEFT side open while the P version is a fireplace with the RIGHT side open. Such a solution allows for observing fire from two sides and very effective filling of the passage between the rooms.